Welcome to a new series on the blog: Five Great Pieces. This is intended to help you loop in easy music appreciation lessons to what you may already be talking about. Music Appreciation can be an easy addition to your school day! We are beginning with Valentine’s Day, which is a pretty easy target since classical music is often rooted in the search for love. 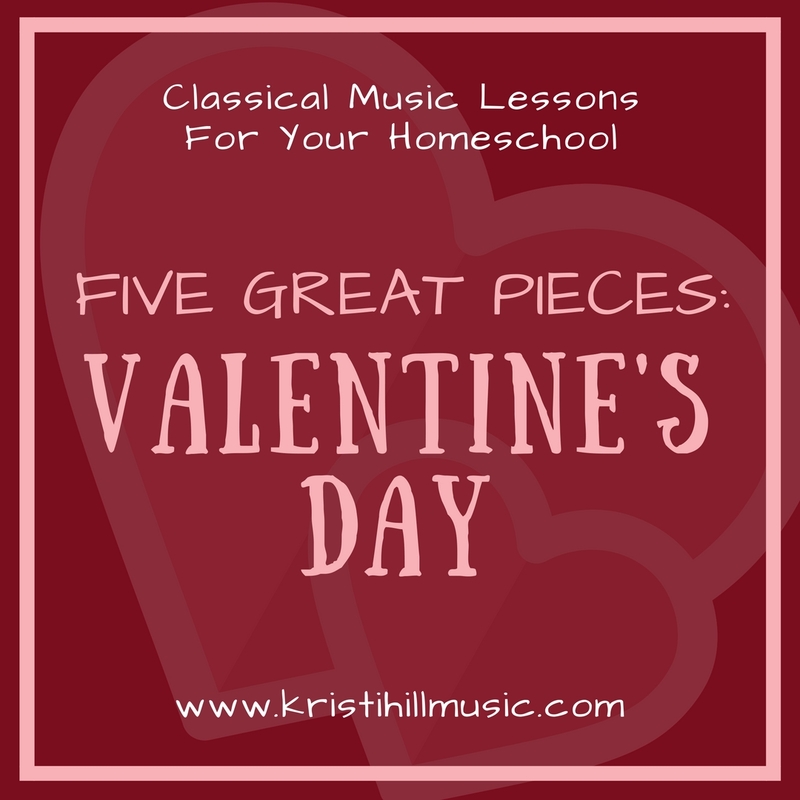 Have your kids do some Musical Sketching to a piece or two from this list in honor of the holiday of love. Simple — and love-saturated — music appreciation lessons – check! Has any piece of literature captivated writers, poets, and musicians more than the tragic story of Shakespeare’s ill-fated couple? Many composers have used the story as inspiration, but Tchaikovsky’s version is probably the most familiar. This – appropriately – is the love theme. Sweet Edward Elgar (most famous for a little graduation tune called Pomp and Circumstance) was a bit of a needy mess. Insecure and riddled with constant self-doubt, he spent most of his composing years wanting to quit altogether. His beloved bride, Alice, is widely known to have been his emotional rock in the midst of this ongoing struggle. Salut D’Amour (simple translation: hi, love) was written as an engagement present for her. You can hardly listen to this piece without being transported to a wedding, perhaps even your own. A canon is kind of a fancy round (when everybody sings the same thing, starting at different times – Row, Row, Row Your Boat style). Canons were cool as early as the 14th century, and remained in vogue for a few hundred years. Johann Pachelbel’s famous version is synonymous with romantic wedding scenes.